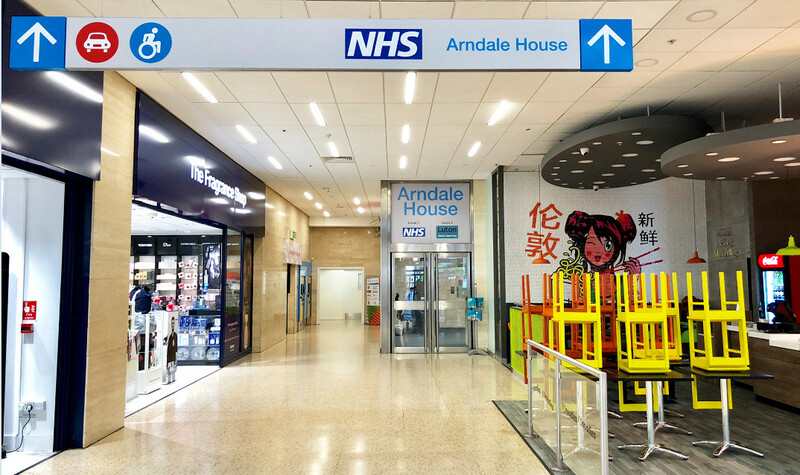 Our Dermatology Outpatient Clinic has relocated to a newly refurbished, central location in Arndale House based in Luton town centre. Each service will be accessible via the Community Hub’s shared lobby before patients are directed to dedicated entrances for each department, giving patients discreet access and improved confidentiality. To find out more in regards to our move to Arndale House please click here. All dermatology services will be provided at the new premises including phototherapy, which comprises three UVB cubicles, hand and foot as well as bath PUVA, a dedicated paediatric clinic and two modern and spacious skin biopsy rooms with a dedicated recovery area. Clinics will not necessarily be running on the same day as they do currently. Dermatology will also be piloting an innovative teledermatology service that will facilitate faster specialist dermatological assessment for both inpatients and outpatients. GPs and secondary care physicians will continue to refer to dermatology in the usual way. This intermediate teledermatology service will enable appropriate triaging of patients, but may also replace some face to face consultations with the dermatology specialist where appropriate. The aim is to also provide high quality feedback to the referring doctor, thus contributing to education and training. #Patients will be informed in writing should their appointment be directed to the teledermatology clinic. Opening hours are Monday to Friday 8.30 – 16.30. If patients have mobility issues which mean they rely on a wide based wheelchair, mobility scooter or have to access clinics on a stretcher, please inform the dermatology secretaries on 01582 497229 or email dermatology.inbox@nhs.net in advance of your appointment.